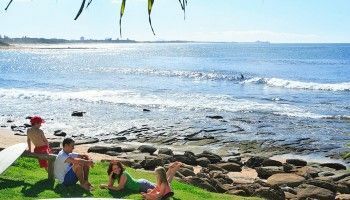 Our self contained accommodation in Caloundra, Burgess @ Kings Beach is a crowd favorite among families who enjoy their summer holidays by the beach, but it doesn’t have to be summer for you to enjoy the Sunshine Coasts mild and temperate climate because the weather is usually perfect all year round. You can find us at 70 Albert Street, Caloundra, Burgess @ Kings Beach has spectacular views looking towards Shelly Beach, Kings Beach and even further to Point Cartwright. Kings Beach is a great place for families with younger kids. 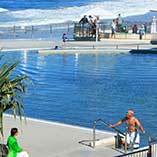 The Kings Beach Water Pools has shade sails, a 25-metre sea-water lap pool, children’s swimming pool and wading area. The Water Pools are also free to visit. 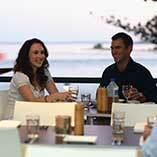 There’s a handy assortment range of cafes and restaurants offering al fresco dining on the beach. There’s also the Kings Beach Tavern overlooking the amphitheatre. Get your timing right to enjoy the foreshore activities and live music. The Burgess @ Kings Beach apartments offer something that few other resorts in Caloundra do — space and style. 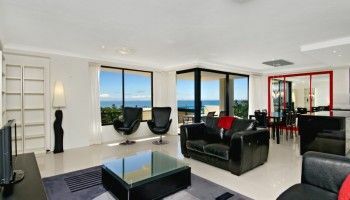 This family Caloundra resort has mainly three bedroom apartment accommodation that ranges in size from 118 to 145 square metres. The extra-wide windows are also nicely dressed with roller shades to control light, glare and privacy. Chefs will enjoy the thoughtful galley design of the kitchens, they’re situated in an alcove off the living area, so that the chef can be part of the entertainment in the living room when of course, the crew is not watching foxtel. 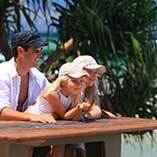 Dicky Beach is also another family-friendly beach destination with lots to do. This surf patrolled beach is named after the shipwrecked steamer that was beached in 1893. Dicky Beach also has a local creek that forms a natural lagoon — perfect for younger kids to paddle in, with warmer and flatter waters. Kids can also go bodyboarding on the beach, or take a slide down the sandy dunes. There are picnic benches and free BBQs beside the carpark which is great for extending an afternoon outing into an evening one. 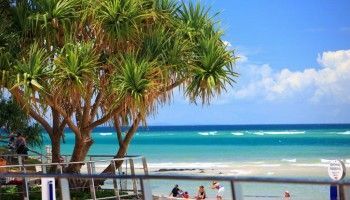 Not only do you get self contained accommodation in Caloundra at Burgess @ Kings Beach, you also have a nicely packaged holiday destination to enjoy. You can’t get more self-contained than that. Book now for a great holiday at the beach.